I’m passionate about helping people find outside the box solutions to improve their health and functionality at all levels. I believe good solutions to infertility, come from deeply investigating the reasons “Why” a particular barrier to fertility has arisen for an individual. We all learn sooner or later, there is not a one size fits all approach to overcoming fertility challenges. Even people with the same medical diagnosis will have varying successes with IVF, drugs, surgery, diet changes and various supplements. So clearly, understanding the various influences that could be affecting an individual’s reproductive health is an important place to begin when trying to find a solution to help them get their baby. Even though I was considered to be fit and healthy, years ago I struggled to conceive my second child. This part of my journey has given me some insight into the fertility challenges of the many people who have since sought my help. I know that in order to help a person facilitate change in their health, the first step is to take the time to listen to their story, ask more questions and to dig deeper to discover possible issues contributing to their current fertility situation. 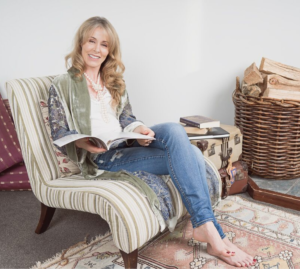 In 2006 I achieved a Masters Degree with Distinction from world leading complementary medicine research centre, Western Sydney University, in which my research design explored the use of natural medicine to improve fertility. Helping men and women seeking help for fertility challenges officially became my specialist area. Subsequently I began being invited to speak at conferences for medical fertility practitioners and acupuncturists as well as being asked to meet with fertility clinic staff to educate them about my work. Using my clinical experience combined with research, I’ve developed an evidence-based method to identify suboptimal health patterns that can affect fertility. The Fertility Breakthrough Method™ integrates functional medicine with a natural or integrated medical approach to fertility, based in Chinese Medicine. Teaching people how to help themselves forms the foundation of my work. If people require working with me on a private basis, my treatment methods may include prescription of Chinese herbal medicine, nutritional supplements, dietary advice, lifestyle modification or an integrated medicine approach. Acupuncture may also be scheduled appropriately with either myself or one of my colleagues. No one can guarantee you will get your baby. However I promise you my commitment to providing you with quality information, support and guidance as your embrace a new integrated approach to getting your baby. Creator of the Fertility Breakthrough Method™. 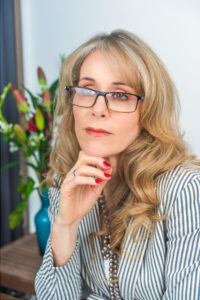 Over 25 years private practice experience. Hi, I’m Suzanne Tapper. As a teenager I battled a debilitating health crisis that robbed me of a couple of years of normal teenage vitality. A very progressive minded GP helped me turn that around by teaching me how to embrace my healing from a more holistic perspective. I still remember my first session with him, which was an hour long! Now of course I know that in order to help a person facilitate change in their health, the first step is to take the time to listen to their story, ask more questions and to dig deeper to discover patterns contributing to their current health concerns. Years later and considered to be fit and healthy, I struggled to conceive. This part of my journey would give me insight into the fertility challenges of the many patients who would seek my help over the ensuing years. In 2006 I achieved a Masters Degree with Distinction from world leading complementary medicine research centre, Western Sydney University, in which my research design explored the use of Chinese herbal medicine to improve fertility. Helping men and women seeking help for fertility challenges officially became my specialist area. Subsequently I began being invited to speak at conferences for medical fertility practitioners and acupuncturists as well as being asked to meet with fertility clinic staff to educate them about my work. I have a genuine passion for thinking outside the box to help men and women overcome fertility challenges. Fertility medicine is an exciting specialist area to work in due to the vast amount of research occurring. Using my clinical experience with this research, I’ve developed an evidence-based method to identify suboptimal health patterns that can affect fertility. The Fertility Breakthrough Method™ integrates functional medicine with a natural or integrated medical approach to fertility, based in Chinese Medicine. Dear Suzanne! Thank you so much for kicking us off on the journey for Baby 2 after 4 years! We were desperately trying to have a baby… We’d had a couple of losses.. It was a big, massive rollercoaster of a time… We worked with Suzanne to create our gorgeous girl. We used herbs, supplements and got the moral support we needed to keep going. It was a really great approach. Having the right people around you will be get you through. We are grateful, very, very, grateful. Thank you. I came to see Suzanne …with regards to endometriosis…They couldn’t remove it and said I may have trouble having children. I was on tramadol and codeine for pain relief.. but it got to the point where they didn’t have much effect. My Dad was the one who put me onto Suzanne. He found her on the internet. I am forever grateful for all your care, support and guidance through all the stages leading up to the arrival of my precious wee girl. It certainly was a huge journey! You have been just incredible and I appreciate everything that you have done for me. I can not thank you enough. You are truly amazing. I still can not believe how lucky I have been. Thank you for all of your help and support through my journey into motherhood. I always looked forward to my appointments and getting great advice from you. I’m sure I will be in touch to see you again.